Bowden, Tim. Antarctica and Back in Sixty Days. Huntford, Roland. The Last Place on Earth (Modern Library Exploration) - Paperback. 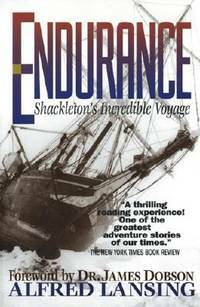 From Endurance to Ice Bound, from	The Voyages Of Captain Scott to Let's Save Antarctica!, we can help you find the antarctica books you are looking for. As the world's largest independent marketplace for new, used and rare books, you always get the best in service and value when you buy from Biblio.com, and all of your purchases are backed by our return guarantee. THE CRYSTAL DESERT: SUMMERS IN ANTARCTICA is the story of life's tenacity on the coldest of Earth's continents. It tells of the explorers who discovered Antarctica, of the whalers and sealers who despoiled it, and of the scientists who are deciphering its mysteries. In beautiful, lucid prose, David G. Campbell chronicles the desperately short summers on the Antarctic Peninsula. He presents a fascinating portrait of the evolution of life in Antarctica and also of the evolution of the continent itself. Toronto: Bell & Cockburn, 1914. Hardcover. Good overall. The first Canadian edition. A difficult book to find, many copies were destroyed during a fire at the publisher's warehouse. Forced to winter over when the Terra Nova failed to pick them up, the party eventually trekked over 230 miles of sea ice to Cape Evans. 8vo, 382 pp, frontispiece, 98 b&w plts & 3 b&w fold-out maps, top edge gilt. Original blue pictorial silver gilt stamped cloth, with silver pictorial vignettes to spine and front cover. Spine a bit dusty, spine ends a bit rubbed, covers a bit marked. See Spence 939, this edition not in Spence. Conrad p186, Rosove 256.A3. (London, Lutterworth Press, 2nd impression, 1950). Original blue cloth, unevenly faded, pp. xvi + 172, plates. School prize-label on the front free endpaper, text lightly browned, text edges slightly foxed. .
Hamlyn, 1991. 1st ed VG in VG dw. large format, very well illustrated, accounts of early exploration in Asia, Africa, the Americas, Arctic and Antarctic. Please note that this is a large, heavy item and thus postage may be a little more than that quoted as default. BCA, 1983. BCA ed VG in VG dw. 1979-1982 Transglobe expedition, circling the world top to bottom, taking in both poles on the way. Hodder & Stoughton, 1981. 1st ed VG in VG dw. a collection of adventures including: Oceans, Deserts, Rivers, Mountains, The Poles, Air, Space & Caves [Neate B135] Please note that this is a large, heavy item and thus postage may be a little more than that quoted as default. New York: W. W. Norton & Company. Fine in Fine dust jacket. 1999. Book Club Edition. Hardcover. 9780393046847 . "Two great floes, one on each side, held [the Endurance] fast; a third struck her stern, tearing off her rudder and mortally wounding her keel." Ships same or next business day. ; 8vo 8" - 9" tall; 310 pages . London: Allan Lane, 1982. The Antarctic is the least explored area on the earth, and the most densley populated with wildlife. A natural sanctuary of spectacular beauty, created and preserved by the sheer extremity of its climate, it has proved the perfect subject for the combined talents of the novelist Richard Adams, and the naturalist Ronald Lockley who, in this book, describe their experiences on their voyage aboard the 'Lindblad Explorer' through the Antarctic.... down from Cape Horn and up to New Zealand. With the aid of a superb selection of colour and b/w photographs by Peter Hirst-Smith, they have produced a unique and highly personal record of a region that may soon be in danger. Fep shows a remainder 'R'. This book remains square, bright and handsome in its photo, price-intact dust jacket. . First Edition. Hard Cover. Near Fine/Near Fine. Macmillan, 1977. 1st ed G++ as ex library with usual stamps in VG- dw. Sir Douglas Mawson's epic journey across 600 miles of Antarctic wasteland. The loss of one of his men and most of his supplies turned a hazardous trek into a nightmare. Mawson and Mertz, were trapped 320 miles from base with only nine days' food and nothing for the dogs. They lived on the journey back by slaughtering their starving animals and eating what is now known to have been poisoned meat. Mawson's ultimate and lone struggle for survival after Mertz's descent into madness is extraordinary. When he arrived back his weight had reduced from fifteen stone to eight stone. Blandford, London 1966.. Large 8vo. hardcover. 416pp. colour & b/w illus., folding map. Very good, light foxing to front of text block, rear endpaper & pastedown lightly toned from news clipping, smll pen mark on fep. / Very good d/w sunned on spine. .